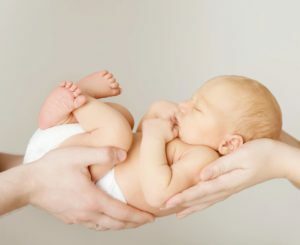 Under Michigan law, unless there is a court order, the two parents listed on a birth certificate have equal rights to their child, even if they were never married. Therefore, each parent has the right to take the child on extended vacations or move out of state. Neither parent is obligated to pay child support. Unmarried Parent child custody can be difficult to negotiate. As you can imagine, this can create fear, confusion and tension between unwed parents as they try to balance the joy of raising their child. When parents are finding it hard to work together, Kathryn Wayne-Spindler & Associates attorneys can help our clients enter a child custody/visitation or child support agreement in court. Our objective is to create a plan that follows the laws of the state of Michigan and fulfills the needs of our clients. Both parents will want to have an opportunity to be involved in the child’s life, while implementing some structure and guidelines to ensure the best interests of the child. In unmarried parent child custody cases, as with child custody disputes for divorced parents, the courts will look at what situation best fulfills the needs of the children, not necessarily the parents. Considerations are outlined in the Child Custody Act of 1970. In unmarried parent child custody cases,, the courts will look into the emotional ties between the child and each of the parents, the capacity of each parent to provide the child with necessary items such as food and clothing and the mental and physical health of each parent. In addition, the courts may consider, to a limited degree, the child’s preference in unmarried parent child custody cases. Obvious deciding factors would also be the existence of domestic violence or substance abuse in either home. Contact Us at 248-676-1000 for help setting up a plan for unmarried parent child custody that works for your needs. The Kathryn Wayne-Spindler & Associates law office is located in Milford, Michigan.